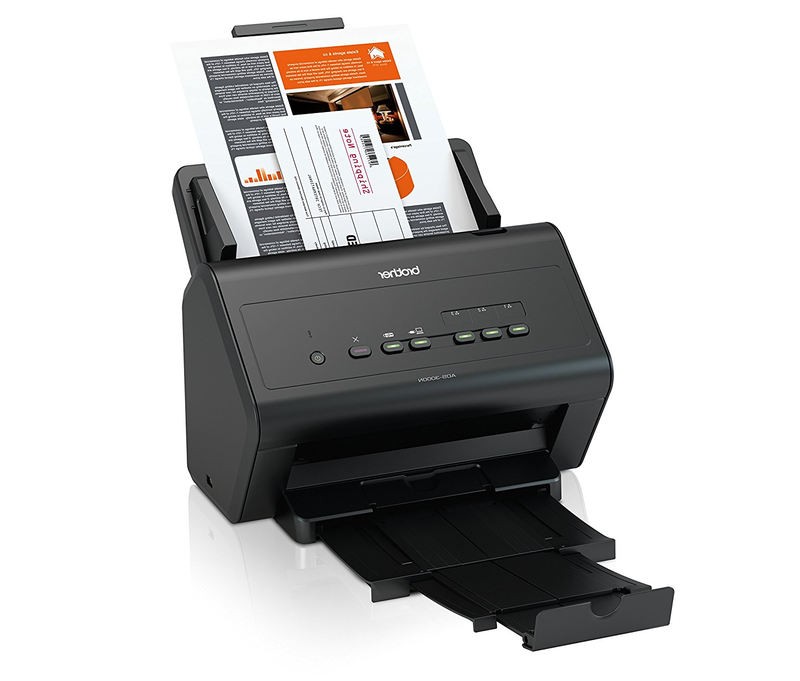 If you’re serious about going paperless, the first tool you’ll need at your disposal is a high-quality document scanner. Choosing the right paperless scanner will help you efficiently move your receipts, bills, and other paper documents to the cloud, de-cluttering your office and letting you view your most important documents no matter where you are in the world. However, not all scanners are created equal; there are three different types of scanners on the market — flatbed, sheetfed, and portable — and each of these have their own upsides and downsides. Because of this, it’s important for you to do your research before spending your hard-earned money on a scanner. And that’s where I come in; in this article, I’ll give you a rundown of each of the different types of scanners and cover their pros, cons, and who I think each type is best for. Additionally, I’ll give you my top pick for each type of scanner to guide you in your search for the perfect scanner. Flatbed scanners are the most common type of scanner on the market. They are multi-functional and can scan make high-quality scans of both black-and-white documents and colour photographs. Flatbed scanners are the most inexpensive type of scanners and are often built into consumer-grade inkjet printers, making them a jack of all trades. Unfortunately, flatbed scanners scan documents slower than their sheetfed counterparts. This is because flatbed scanners pass over documents multiple times to take in as much detail as possible from photographs. Speed is increased by reducing the scan quality, however, they still won’t match the speed of a sheetfed scanner solely meant for scanning documents. Additionally, flatbed scanners can take up quite a bit of room on your desk. The scanner bed is at least 8.5 by 11 inches, with some being larger to accommodate legal and A4 sized documents. Using a flatbed scanner is simple: just lay your document facedown on the scanner bed and press the scan button on either the scanner or within your preferred scanning software. A second or two later, your document will be available digitally on your computer. All in all, flatbed scanners are best for those looking for an inexpensive all-in-one device that can scan both their photographs and important documents. 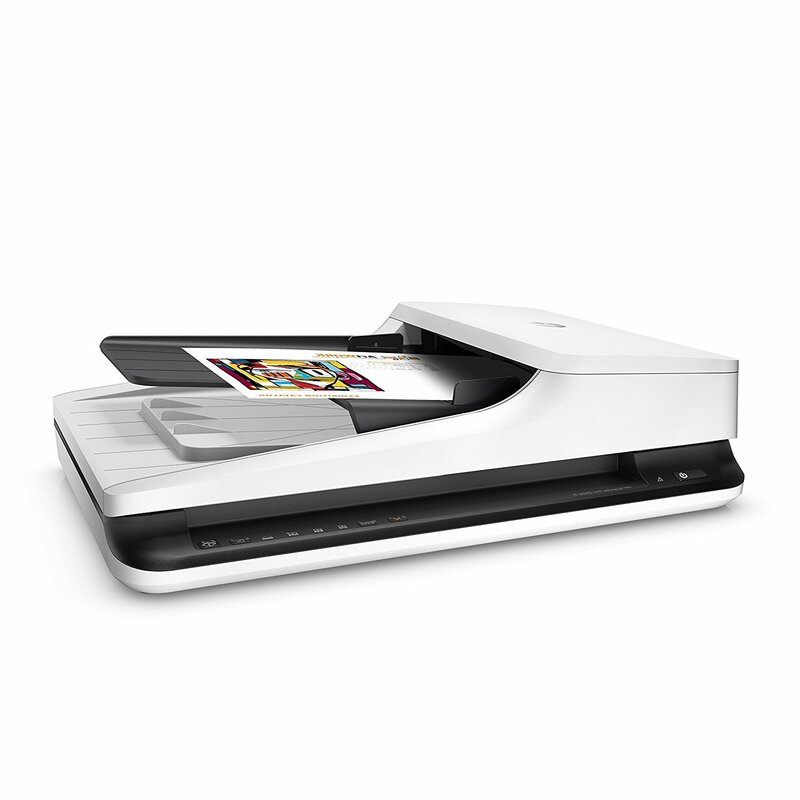 Tip: When purchasing a flatbed scanner for scanning documents, make sure to purchase one with a document feeder. This let’s you queue multiple documents for scanning and removes the hassle of manually changing documents. The ScanJet Pro is one of the fastest flatbed scanners on the market with a twenty pages per minute scan time and a document feeder that can hold fifty sheets in queue. However, that speed doesn’t come without a price; the ScanJet Pro 2500 retails for $230 USD on amazon.com. Sheetfed scanners are all about speed and saving space. They load documents vertically and and automatically scan documents from a queue — this makes for as small desktop footprint and scan speeds of over fifty pages per minute. Using a sheetfed scanner is extremely easy too: just place your documents in the automatic document feeder — sometimes called “ADF” — and press the scanner’s scan button. Your documents will automatically be imported to your computer and ready to organisation in the cloud in no time. While you can scan photographs with sheetfed scanners, they won’t be as high of quality as an image scanned by a flatbed scanner. However, this is a worthwhile tradeoff if you’re only looking to scan paper documents. I recommend sheetfed scanners to anyone who has lots of paper documents that they’d like to digitise ASAP. The Brother ImageCenter ADS-3000 is an absolute dream for scanning documents. It has a scans speed of fifty (!!!) double-sided pages per minute and can connect to your computer via USB 3.0 or Ethernet. This makes the ImageCenter perfect for small offices who need to share a blazing fast document scanner across its network. This scanner retails for $614 USD on amazon.com. Like the name suggests, portable scanners are best for those who live on the road. These scanners are small enough to fit into your backpack or laptop case so you can import documents to the cloud no matter where you are in the world. Many of these scanners feature mobile apps that connect with iOS and Android devices too, so you can skip the laptop altogether. Because of their small size, these scanners often lack when it comes to scan quality and speed. This makes portable scanners best as a supplement to a full-sized desktop scanner when on the road. I recommend portable scanners to professionals like real estate agents who travel often and deal with lots of paperwork on the road. NeatReceipts is a powerful mobile scanner from Neat. This small scanner is USB powered and can scan one single-sided 8.5” by 11” document at a time. Neat markets the device as being able to scan three to four documents per minute. Additionally, the scanner includes Neat’s famous ReceiptTracking software called — you guessed it — Neat. This app for Mac, Windows, iOS, and Android let’s you easily track your expenses by scanning in your receipts. The NeatReciepts scanner combined with this software is perfect for freelancers and anyone else who has lots of reimburse or tax deductible expenses. A certified refurbished NeatReceipts scanner runs $69.99 USD on Amazon. And there you have it: the best scanners for going paperless. Let me know what scanner you’re using to digitise your life in the comments!